After crafting a career making British sea shanties salable to the public and then dipping into prog rock on The Crane Wife and The Hazards of Love, who knew that all the Decemberists ever wanted to be was R.E.M.? Released in early 2011, The King Is Dead indeed often bears an uncanny likeness to the legendary Athens band, mixing up the jangly folk of that group’s early work and the emotional directness of Automatic For The People at will. The band even goes so far as to have R.E.M.’s guitarist Peter Buck play on three songs, mimicking his “Talk About The Passion” riff on “Calamity Song”. Despite these surface similarities, though, the album doesn’t ever feel particularly derivative. This is mainly because Colin Meloy and co. accent these songs with warm country overtones, further exploring American music in a way they haven’t done in the past. “Don’t Carry It All” and “Down By The Water” are fine countryside singalongs—especially with Gillian Welch and Dave Rawlings lending rich harmonies to the latter—but it’s the softer moments like “January Hymn” that give The King Is Dead a bit more versatility. At the same time, though, the Decemberists haven’t quite mastered this type of sound, and the album as a whole lacks the depth and emotion of the artists they try to emulate, both musically and lyrically. There’s enough potential here to suggest that if the band continues mining the Appalachians for inspiration, they could create something quite superb. 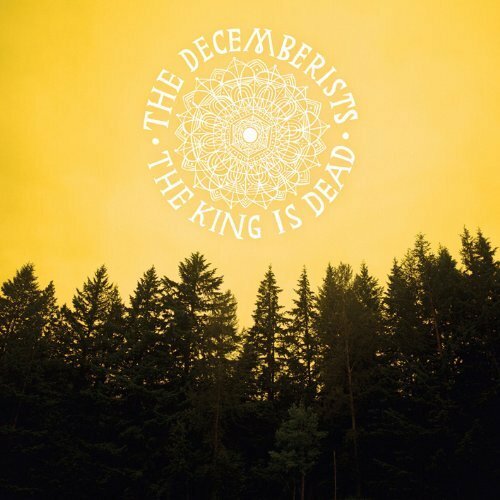 For now, though, The King Is Dead is a pleasant, if insubstantial, listen and proof that the Decemberists are aging gracefully.